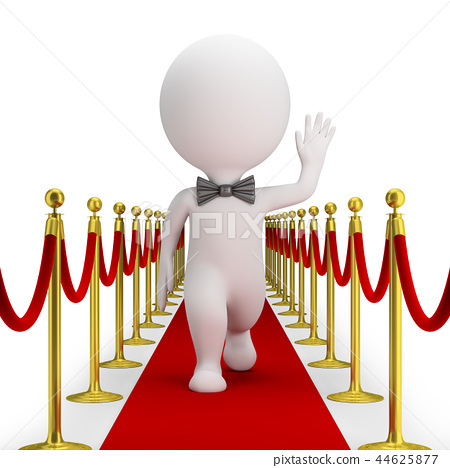 3d small person with a bow tie is walking along the red carpet and waving his hand. 3d image. White background.